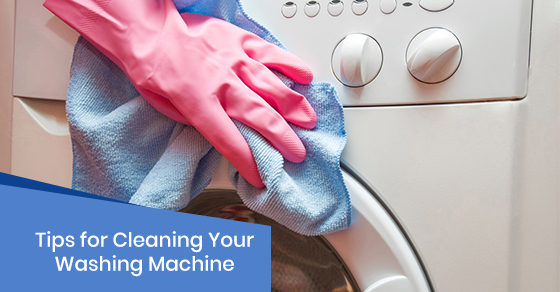 Your washing machine sees a great deal of dirt and debris over its lifetime. All of the dust, dirt, food stains, and other contaminants that are on your clothes and bedding end up in your washing machine. As a result, it can become infested with mould, mildew, unpleasant odours, which can lead to your clothes not being washed properly because there is too much debris. It is important that you clean your washing machine on a regular basis and perform simple maintenance tasks to improve the lifespan of the appliance. Washing machines are often an expensive investment for households, so it is important that you put in the time and effort to maintain it. Washing machines are especially susceptible to the growth of bacteria, mould, and other pollutants because of the wet, humid environment. Unfortunately, as dirt, grime, and debris build up in your washing machine, they act as a hotbed for mould and mildew. These pollutants can cause unpleasant odours to radiate from your appliance. As well, this grime and mildew can prevent your clothes from being cleaned after each wash cycle. If not cleaned for long periods of time, these pollutants can end up seeping into your garments during wash cycles, which can cause skin irritation and discomfort. In the past, washing machines rarely needed cleaning because of the use of boiling water to clean your clothes. This system would naturally kill bacteria and prevent mould growth because of the boiling water. 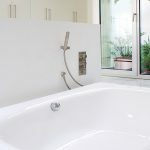 Now, with a focus on eco-friendly, sustainable lifestyles, cold wash cycles are becoming more popular. While this practice is environmentally-conscious and responsible, it also requires greater effort to maintain your washing machine. Most of the common household remedies for cleaning your washing machine includes some kind of combination of baking soda and vinegar. While it may not be the most effective method for cleaning the appliance itself, the combination is very effective in eliminating odours. For bacterial and mould growth that has caused foul smells to radiate from your washing machine or even seep into your clothing, a combination of vinegar and baking soda will neutralize the pollutant and make it easy to scrub away. For top-loading washers, run it on its hottest setting while adding four cups of white vinegar to the load. You can also add one cup of baking soda to create a bubbly concoction that will help combat odours and make it easier to scrub away any grime and mildew that remains after the wash cycle. This is more of a maintenance tip, but allowing your washer to dry out completely after each load will prevent the build-up of mould and mildew, which thrive in warm, wet climates. Laundry experts will urge you to leave the door to your washing machine open after your wash cycle to allow it to dry out completely before the next load. This tip is suitable for both front-load and top-load washers. By ensuring the washing machine dries out completely after every wash, you are preventing mould and mildew from growing in your machine. 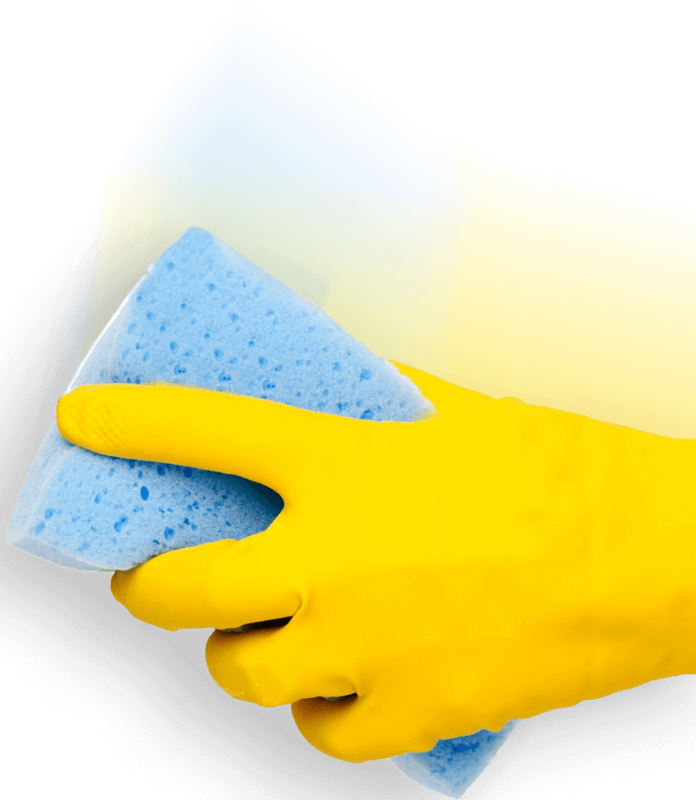 This also makes it easier to wipe down and clean your machine, especially if it is done on a regular basis. The door seal and detergent tray are hotbeds for mould and mildew. Residue and debris tend to build up in the door seal of front-loading washers. This problem is magnified in new appliances, as high-efficiency washing machines use less water and often use cold cycles, so your detergents and pollutants do not break down as efficiently. As a result, the sticky detergents and grime from your clothes get stuck to the seal of the door, which can promote mould and mildew growth. Fortunately, with some regular cleaning and maintenance in high-risk areas such as the door seal and detergent tray, you can prevent the accumulation of grime and other pollutants, preventing foul odours from developing in your washer. Although it is not the most eco-friendly, sustainable option, washing machines will have a much longer lifespan if you simply use hot water on a regular basis. This does not mean that every load of laundry has to be done with hot water, but frequently scheduled hot water cycles will help kill off any unwanted bacteria and keep your washing machine free of mould, mildew, and other grime. Not only will this help keep your clothes free of bacteria, but it will also prevent foul odours from developing at all. This simple tip could save you a great deal of money in the long-term, as your washing machine will require less maintenance and cleaning and will have an extended lifespan compared to those who only use cold water. Finally, if all else fails in your quest to clean your washing machine, try cleaning the appliance with bleach. 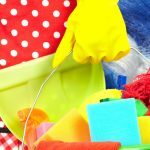 While many people hesitate to use harsh chemicals in their washing machine for fear that the chemicals will seep into their clothes, the benefits of an occasional deep clean with bleach can outweigh the risks. The buildup of mould, mildew, and other bacteria can cause foul odours to seep into your clothes. 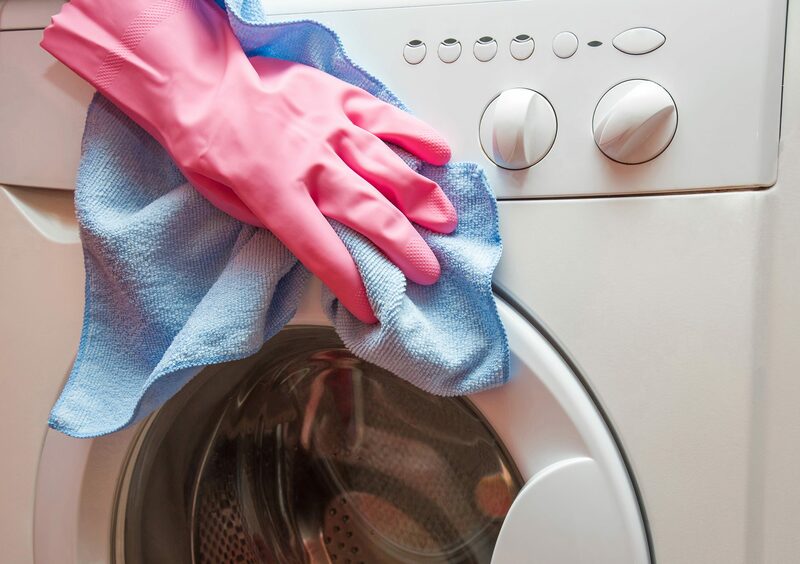 While this bacteria is generally harmless, your clothes will not feel fresh or clean, and your washing machine can fall into disrepair if not properly maintained. If you prefer to avoid adding bleach to your clothing, simply run a bleach/hot water cycle through an empty washer to help kill bacteria and clean your appliance. Keeping your washing machine clean can be a difficult task. For those who are having difficulty solving this problem, Maid4Condos is here to help. Our experienced, professional cleaners have an innate knowledge of cleaning large home appliances, so we can help make your washing machine work like it is brand new. 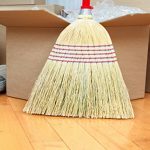 For a quote for our cleaning packages, or to speak with a cleaning professional, call us at 647-822-0601 or contact us here.